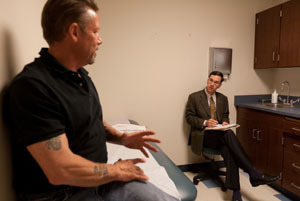 Every type of surgery performed in the United States is quickly being reinvented toward the goal of “minimally invasive surgery.” That’s because if the physician can make a shorter incision, less tissue is disrupted, which in turn cause less blood loss, less trauma to muscles and ligaments, and recovery after the surgery is less painful and quicker for the patient. But for this to happen, it requires new technology as the surgeon operates through a half-inch incision and works through a tube the width of a ball point pen that has a camera and incision device. In a sense, the surgeon operates by seeing an image on a TV screen. So not only is there expensive technology involved, but it requires incredible expertise for the surgeon to perform the surgery need through tiny instruments. In a sense, the skill involved is like comparing a carpenter to a jeweler. For years, knee surgery and shoulder surgery has been done through scopes, where a knee surgeon corrects a torn menisicus or ligament. Now the use of scopes is expanding to joint replacement and spine surgery. Minimally invasive surgery in orthopedics is becoming the desired standard. The technique is proving to be particularly successful in joint replacement as well as reconstruction of fractures and bones and realignment of extremities. 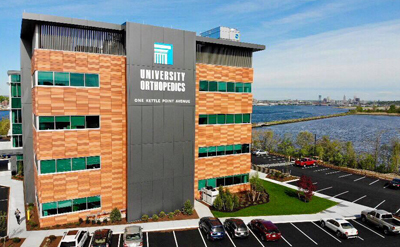 It is important to note that the technology used to perform minimally invasive orthopedic procedures has undergone significant advances and the surgeons at University Orthopedics are continuing to improve and refine ways to make surgeries even less invasive. In the field of spine surgery, spine surgeons at University Orthopedics use minimally invasive techniques and instrumentation to help patients recover in a shorter period of time and allow for a quicker return home. In minimally invasive spine surgery, a smaller incision is made, sometimes only a half-inch in length instead of three inches. The surgeon inserts special surgical instruments through these tiny incisions to access the damaged disc in the spine. Entry and repair to the damaged disc or vertebrae is achieved without harming nearby muscles and tissues when using minimally invasive techniques. Unlike many other spine care providers, the spine patients who undergo minimally invasive surgery at University Orthopedics can often have their surgery in the morning, and then be home later the same day. Recovery in one’s own home can be more comfortable than staying in a hospital bed. With the introduction of minimal access spinal technologies (MAST), spine surgeons can make a smaller incision, while at the same time achieve the same results as in open spine surgery. Due to the accuracy provided by these tools, surgeons can access the vertebrae through the narrow probes with surgical cameras and tools. 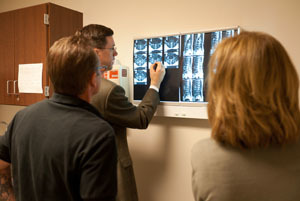 Oftentimes, bone is acquired from the hip of a patient during traditional fusion procedures. Unfortunately, this process may cause pain and discomfort rivaling the actual surgery. Alternatively, it has been introduced to utilize BMP, also known as “bone morphogenetic protein”, a bone-growth substance and eliminate the need for harvesting bone from a person’s hip. Spine surgery is commonly a last resort alternative, after all nonsurgical methods have been exhausted, or when complications such as severely herniated discs or damaged vertebrae simply will not respond to nonsurgical treatments. With this knowledge, the ultimate goal of spine treatment is to reach the root of the problem, while causing the least amount of disruption to the patient’s lifestyle. In cases when surgery is the right course of action, it is vital for you to play an active role in selecting the best spine surgeon for you. You should seek out a surgeon that specializes in spine problems rather than one that is non-specialized and conversely treats a wide variety of injuries, such as head, knee and shoulder. As with anything else, practice makes perfect. The more a person does something, the more second nature it becomes.